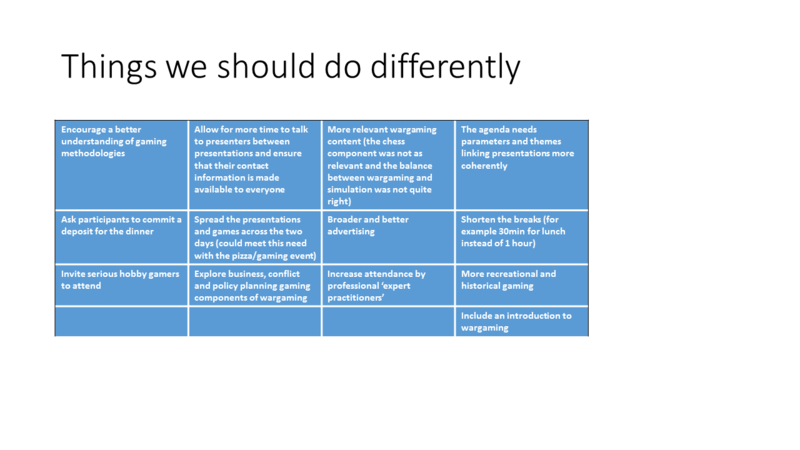 Based on feedback from 2015, Mariana proposed a program outline, and this is the basis of this year’s suggested program. We need proposals from you, the delegates, for content: either what you would like to be included, or what you would be prepared to present yourself. If there are sufficient numbers, we will run the workshop sessions in parallel, and repeat them as needed. Sessions 2, 3 & 4: Interactive Workshops. 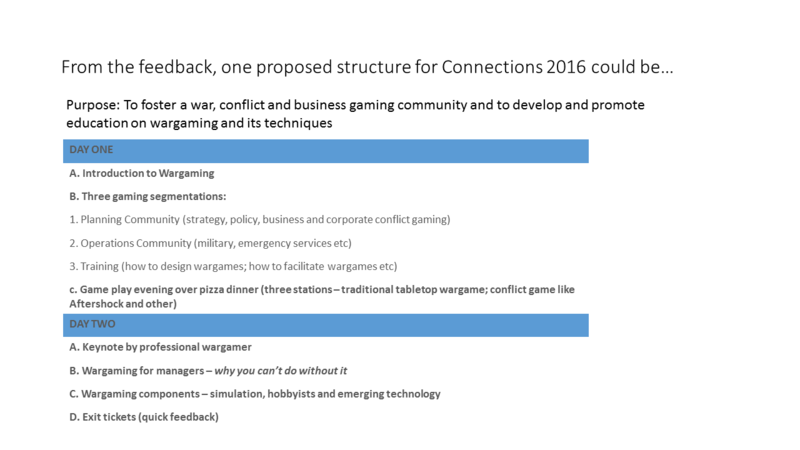 Suggested topics: games for planners, games for operational leaders, designing games. Session 4: Debrief and wrap up. Registrations are now open for 2016. Click here to register. Put the dates in your diary. Connections Oz will be on again this year on 5-6 December. Once again the University of Melbourne has graciously allowed us access to their teaching spaces. So we will again be holding the conference in the Doug McDonell building. 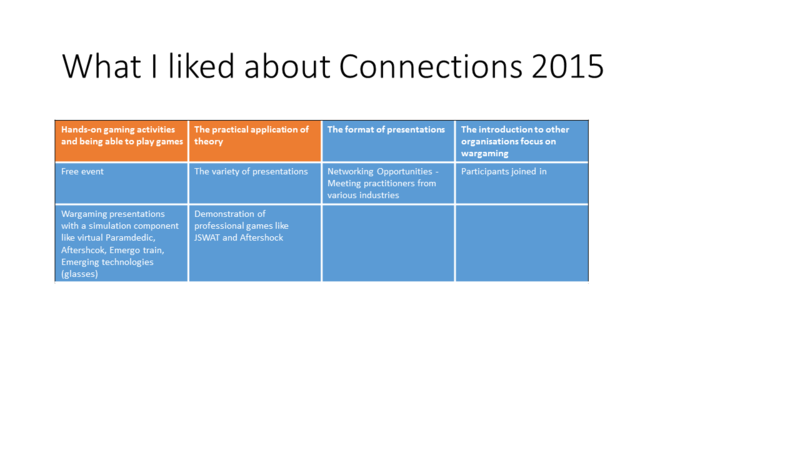 With two years under our belts we want to see some really interesting presentations and workshops from the attendees. So, start putting together ideas for what you might like to present, or what you want to hear from others. Take a look at the feedback and consider if you are able to contribute something interactive. Contact the team via the email @ on this page with suggestions. 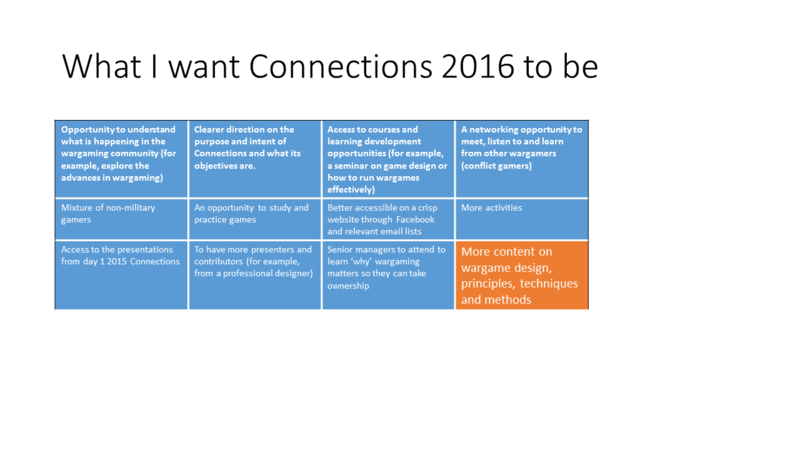 Mariana put together a summary of the feedback from 2015. Please download the document from here and post comments below or send us an email. This post is just to maintain the link to the 2014 Connections Oz resources.